The World Cheese Awards 2012, the largest and most respected cheese competition in the world, is now open for entries. Cheesemakers can download entry forms or enter on-line at www.finefoodworld.co.uk/wca which has full details of classes and cheese delivery information. 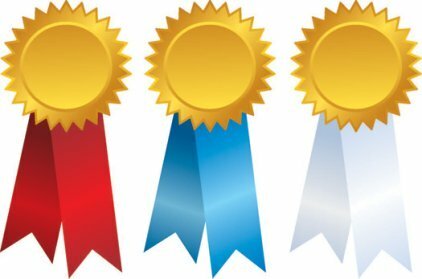 The competition, which will culminate in a display of over 2,500 cheeses from more than 35 countries, takes place at the BBC Good Food Show, NEC Birmingham on Wednesday 28th November when the World Champion 2012 will be announced. Then, the cosmopolitan cheese festival atmosphere will continue throughout the show with cheese tasting, pairing and tutored sessions until the show ends on Sunday 2nd December. Over 80,000 visitors to the show will have an opportunity to learn more about cheese and taste some of the most exceptional cheeses in the world once the panel of judges has agreed the winning cheese. In 2011 the World Champion, a magnificent Ossau Iraty from France beat the previous year's winner, Cornish Blue, by only a whisker. For over 20 years, The Guild of Fine Food has brought together the very best examples of the cheesemakers’ art to create the World Cheese Awards. From the most delicate, artisan-made fresh goats’ milk cheese from the Alps, to robust, savoury traditional Cheddar from the West Country, completely new and innovative cheeses just launched to the market and cheeses with protected status which links them to a distinct geographical region. The World Cheese Awards accepts only cheese entries, no cream, butter or yoghurt – the emphasis is firmly on cheese in all its magnificence. “The World Cheese Awards remains the only scheme that backs the little people – it’s not dominated by supermarket cheeses. We now have around 700 British cheeses made by 200 specialist cheese-makers. That’s up 20% on 10 years ago, and still heading in the right direction. So at a time when there’s so much debate about liquid milk prices at the large-scale end of the dairy industry, it’s ironic the farmhouse cheese sector seems to be off the media’s radar,” commented John Farrand, organiser of World Cheese Awards. 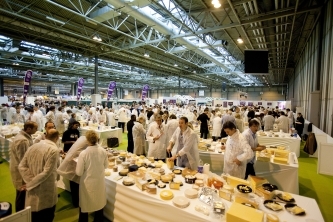 Over 220 expert judges, including cheese graders, retailers, chefs and buyers, from every corner of the world, will judge the competition and, to enable spectators to watch the fortunes of each cheese as it is judged, screens will be positioned to show the judges as they taste, cogitate and ruminate. Once the judges have chosen the top, gold medal winning cheeses, they will reassemble in front of a packed audience for the final stages of judging and the announcement of the World Champion 2012.